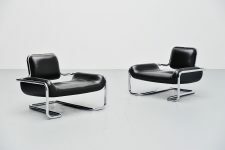 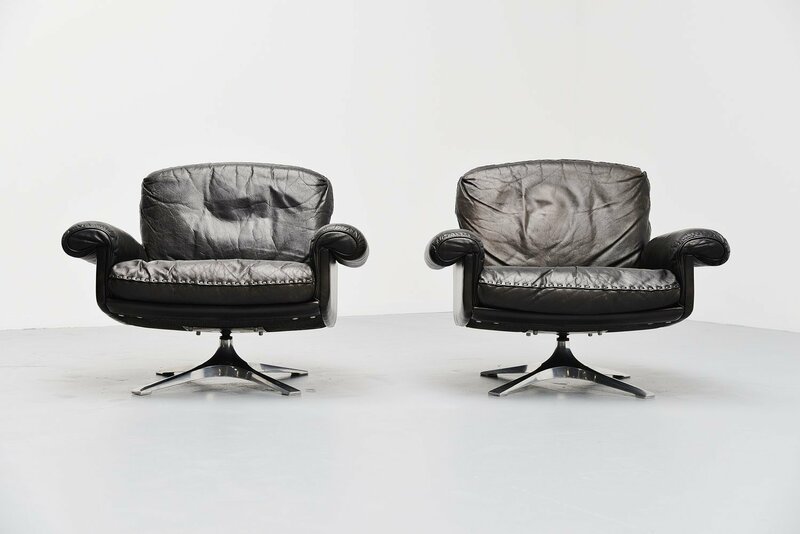 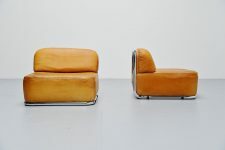 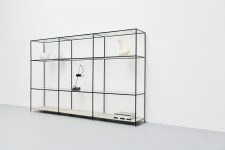 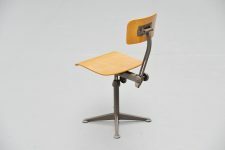 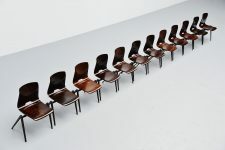 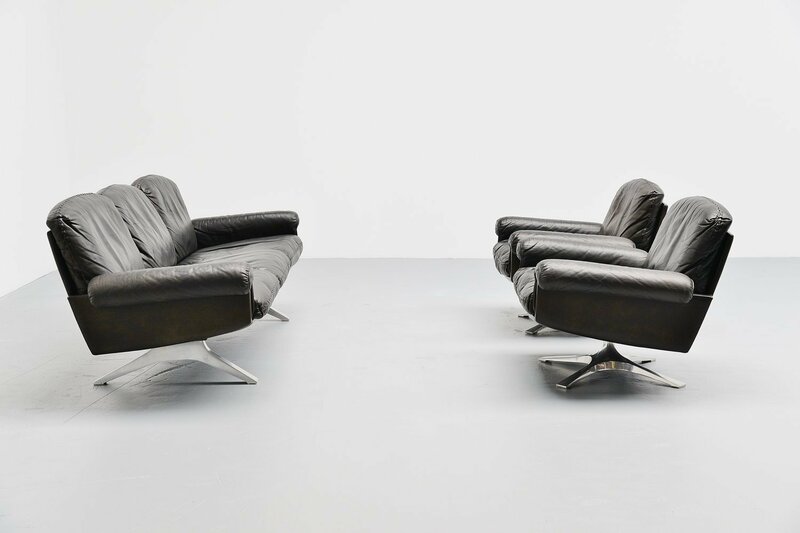 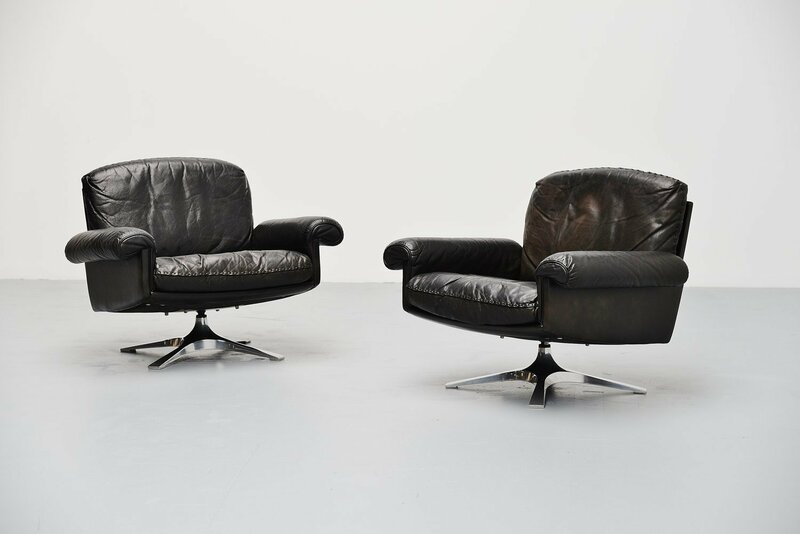 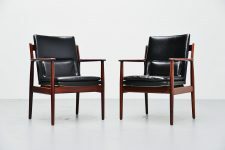 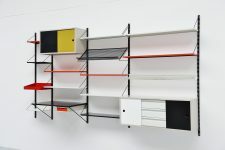 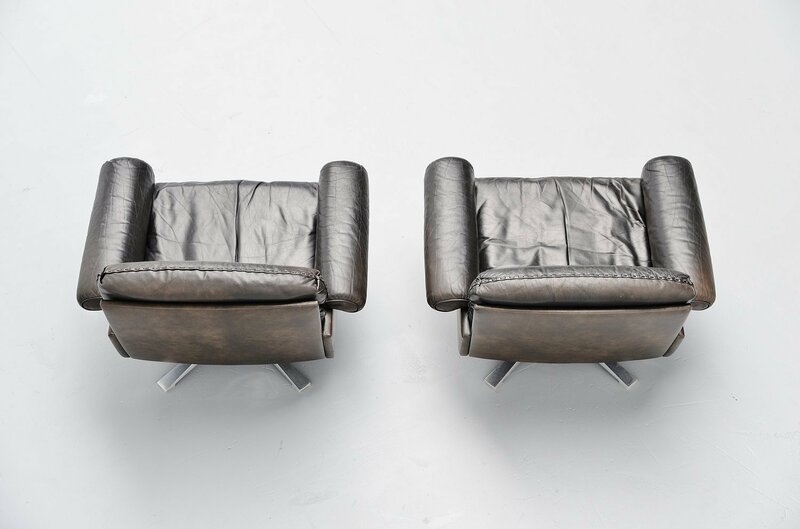 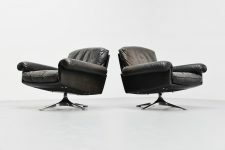 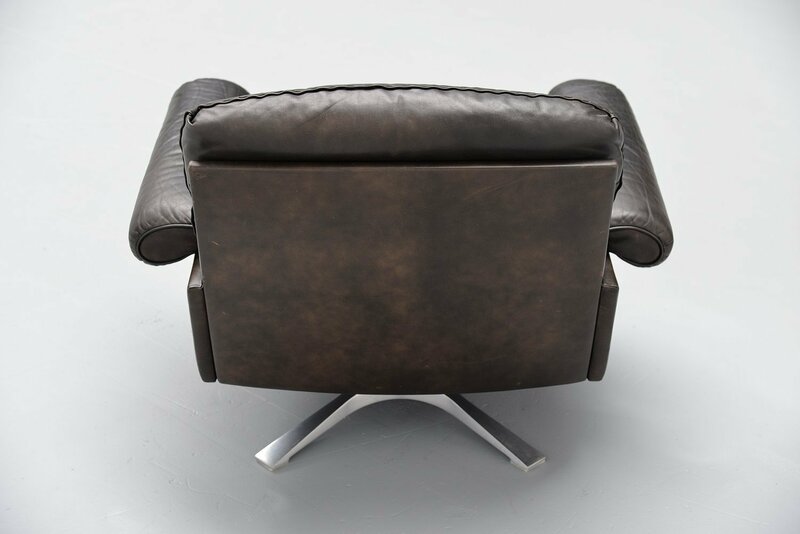 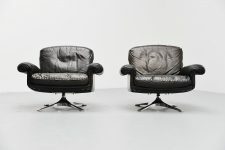 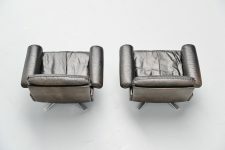 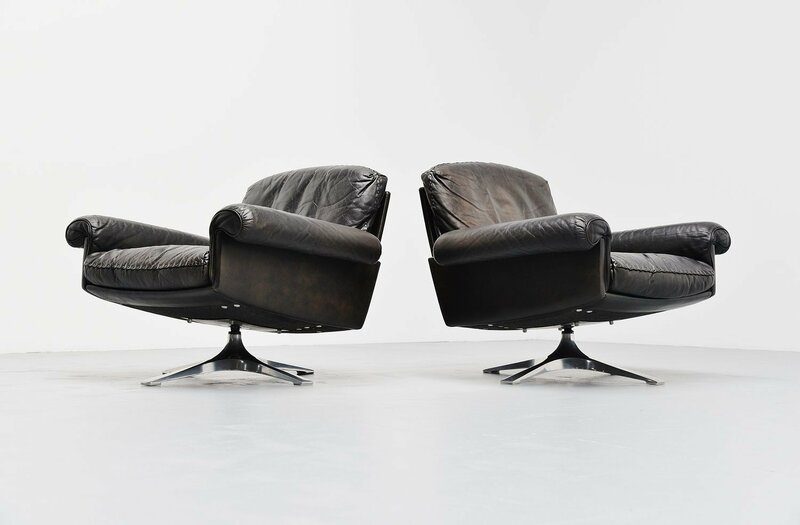 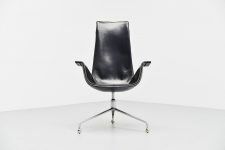 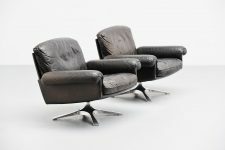 Comfortable pair of lounge chairs model DS31/1 designed by De Sede, Switzerland 1970. 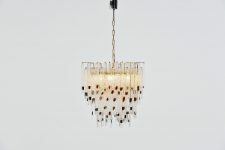 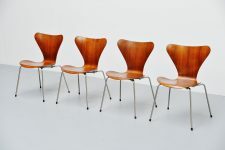 These chairs have a very nice star shaped base, in chrome plated aluminum. 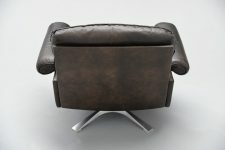 The chairs swivel and seat very comfortable. 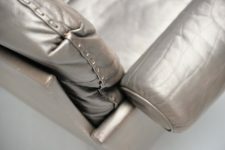 A typical detail is the stitched edges along the cushions. 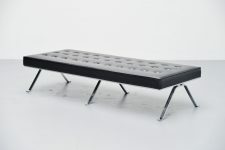 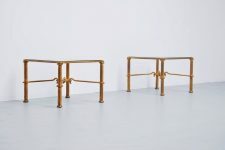 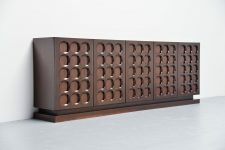 Have a look at the matching 3 seater sofa we have available for sale.